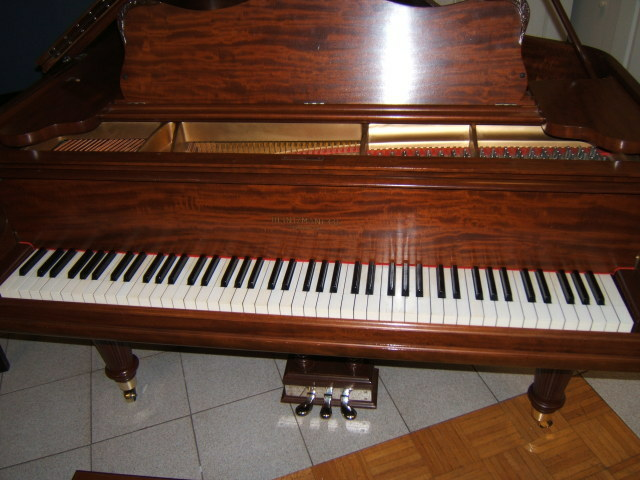 Description: Rare vintage Heintzman grand with "ice cream cone " legs. Recently refinished and rebuilt. Original ivory keys in very good condition. Excellent soundboard with no cracks. Rich full Heintzman sound. You like the classic Edwardian grand piano design this piano could be for you. Comes with matching bench and full warranty.